With the threat of thunder showers every day, we only had one downpour. Yesterday Doug and I hiked a couple of miles to the Pumpkin Hill coast where we saw hummingbirds, orchids, fire ants, green iguanas, brahman cows and large beautiful spiders. It was HOT with 80% humidity. Soooo hot, sweat dripping off our foreheads, feet were sore in the sandals, we walked on and made it to the waters edge. Here the coral reef starts right away and then drops quickly into the DEEP sea, so there is no swimming access due to this geographic condition. The beach was strewn with washed up plastic bits, bottle caps, blue, red, green, bits and pieces, spiderman (faded and brittle from being in the sun). We got our feet wet. 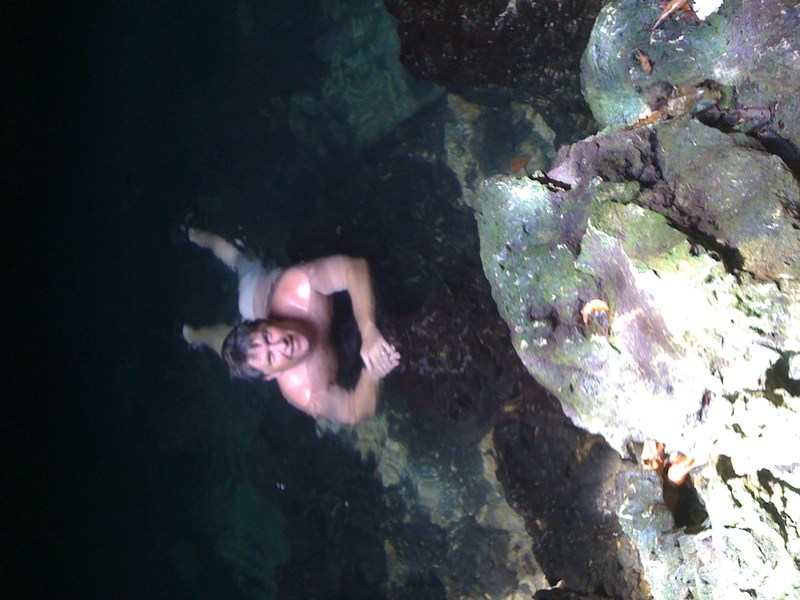 Still sweltering, we marched on through the jungle to a fresh water cave. The path to the cave was dense and over grown and craggy. We came to a small, part broken ladder and went down some more rocks, and alas there was the water. Our tired and hot bodies dipped into the pool to find the water COOL and ever so refreshing. Ahhhhhhh relief at last. Divine! 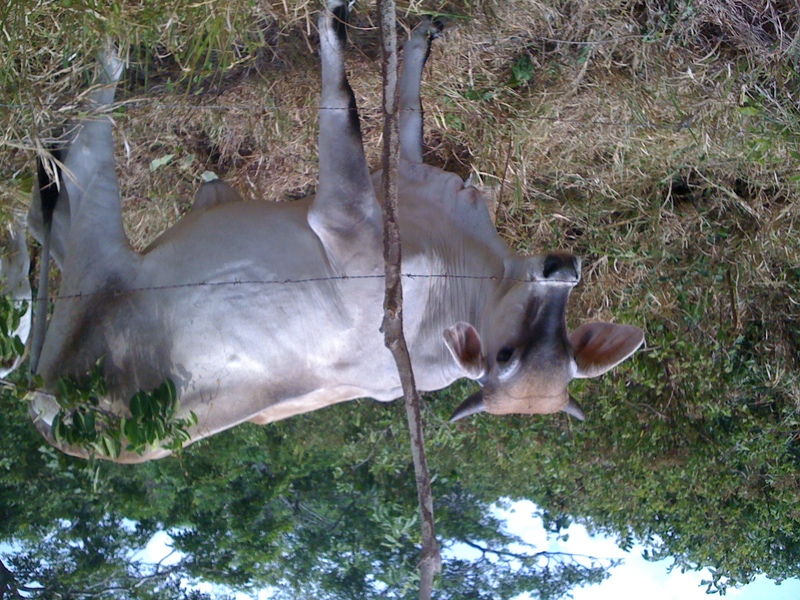 After our cooling soak we hiked back to the main dirt road, where we saw the brahman cows. Shortly thereafter we saw a truck coming our way, they stopped and offered us a ride to town. Ahhhhhh the air on our faces was another relief as we rode back into town in the back of the truck bed. Back to Jade Seahorse where I fused more glass in Neil’s kiln until Tempy made us Shrimp Alfredo for dinner and early to bed. Today promises to be a little cooler, but only time will reveal. Limited to uploading only iPhone pics while here on the island, most have gone to facebook but soon will add some here to the blog as well. Of course when we return to California the “real” pictures of spiders and orchids and hoffmannii woodpeckers will be uploaded from the Canon. Ahhhhh, it’s a soft velvety temperature this morning… so far … soo GOOD. Next Post Horses copulating in the jungle, blue crabs, humming birds & plane wrecks.